Joining her for the presentation was Legal Aid Director of Pro Bono Janet Seldon, who nominated Leticia for the award. 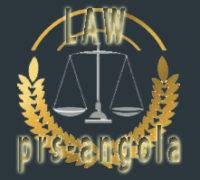 Considering that Meghalaya is an location covered under the Sixth Schedule of the Constitution, there are a number of specific laws which apply there which need to be understood in higher detail and consequently, there was a short discussion about the require for the newly formed Legal Aid Clinic to create awareness about these laws in different parts of the State. As such, the Society will be hiring 40 interns for the summer season, so this may be a wonderful opportunity for relevant candidates.